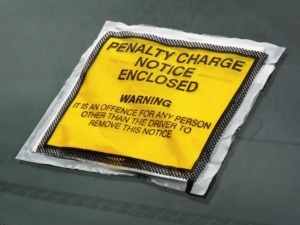 New legislation that would help stop drivers getting parking tickets from rogue firms is to get full support from the Government. Private parking firms issued almost 13 times more tickets in 2016 compared to a decade ago. Communities Secretary Sajid Javid said the Government would back the Parking (Code of Practice) Bill being introduced by Sir Greg Knight MP, which will effectively raise standards in the industry by developing a stringent Code of Practice and blocking rogue parking firms from accessing driver data and issuing fines. This would include banning wheel clamping and towing, and over-zealous parking enforcement by councils and parking wardens. RAC Foundation data shows the number of driver records sold to private parking firms to issue tickets increased by 1,177% – or almost 13 times – in the decade between 2007 and 2016. The RAC Foundation also predict the number of tickets issued by firms operating on private land will rise 28% during 2018 to 6 million from 4.7 million last year. The Parking (Code of Practice) Bill will receive its Second Reading in the House of Commons on Friday 2 February 2018.